Two charts are included in this package. 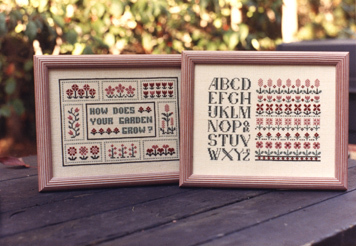 A band sampler incorporating a beautiful alphabet and bands of growing flowers. The second charts is reminiscent of an English garden. 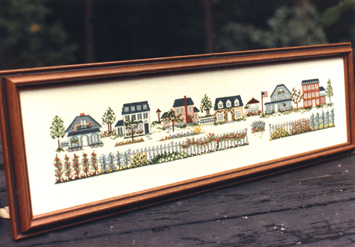 Inspired by the homes of small town America, this quaint design is worked in soft antique colors. Each house may be used alone or as a completed piece. 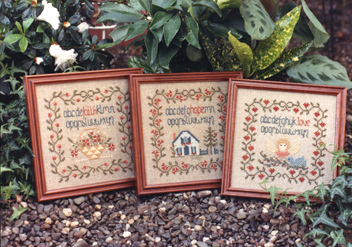 Three small samplers incorporating "faith", "hope" and "love" in the alphabets. They are simple, yet capture great detail. 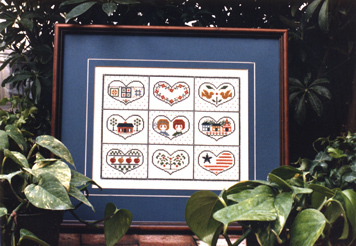 These country hearts are really fun to work and make a great addition to any wall grouping. bring you to home sweet home. 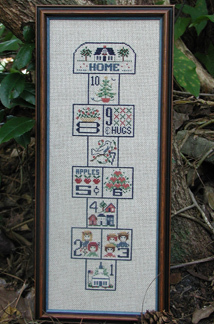 This design is delightful for all ages and fun to work.